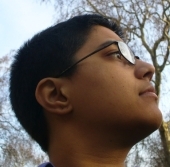 Sumana Harihareswara is a management consultant specializing in open source processes and organizations. She has a bachelor's degree in political science from the University of California at Berkeley, and a master's in technology management from Columbia University. She has worked with Wikimedia, Collabora and Salon.com, and contributed to the AltLaw, Empathy, Miro, and GNOME open source projects. Additionally, she co-edited the Creative Commons BY-NC-SA-licensed Thoughtcrime Experiments science fiction anthology. She is currently an editor for GNOME Journal and a blogger at GeekFeminism, and blogs at Cogito, Ergo Sumana. Sumana Harihareswara writes and recruits articles for the website, and wrote and coordinated grant proposals.